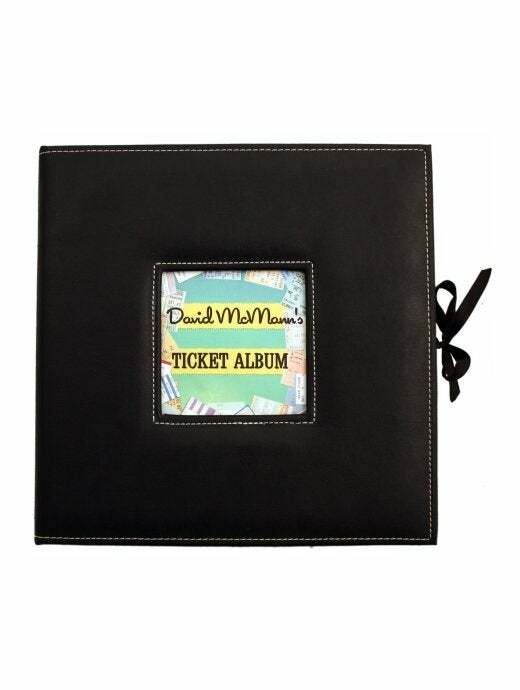 Our Keepsake Ticket Box makes a beautiful addition to any coffee table, shelf, or display. 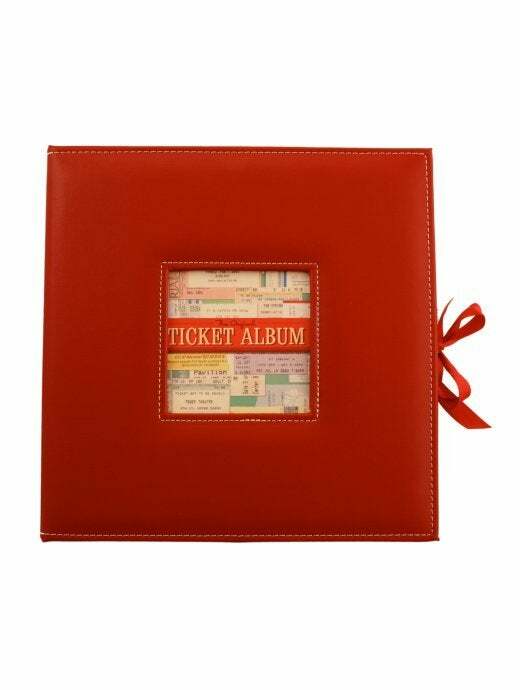 It features a hardbound leatherette cover with topstitching details & ribbon closure. Three ring binder spine allows you to easily move, replace, and add pages. Holds up to 175 tickets on 70 pages. Choose from Red & Black covers, with a personalization option.